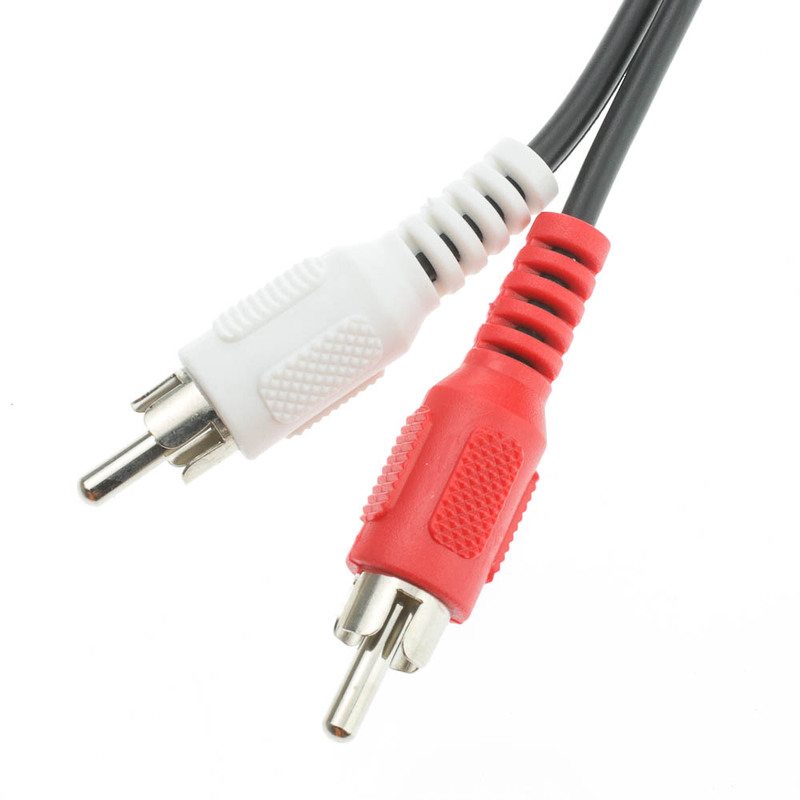 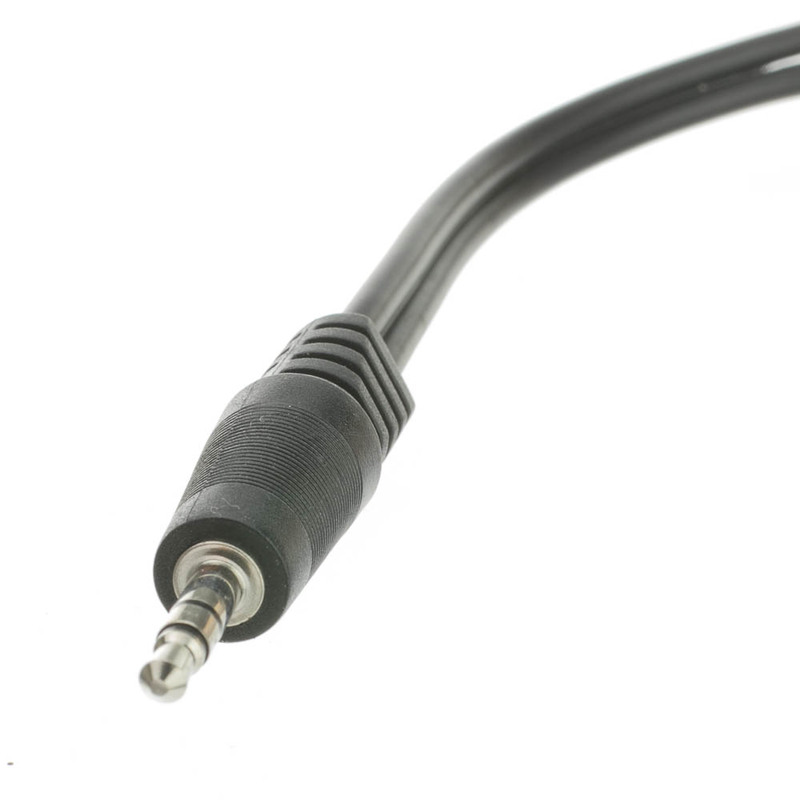 This adapter will convert a 3.5mm headphone-style input into the left/right 2 RCA connection. 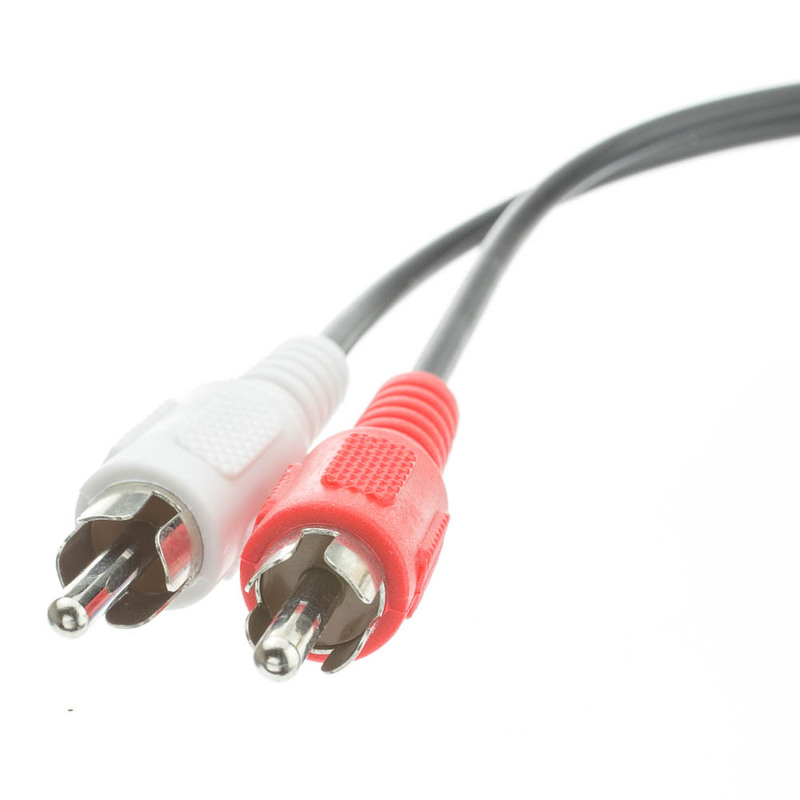 This red/white Y adapter cable is 6 inches long. 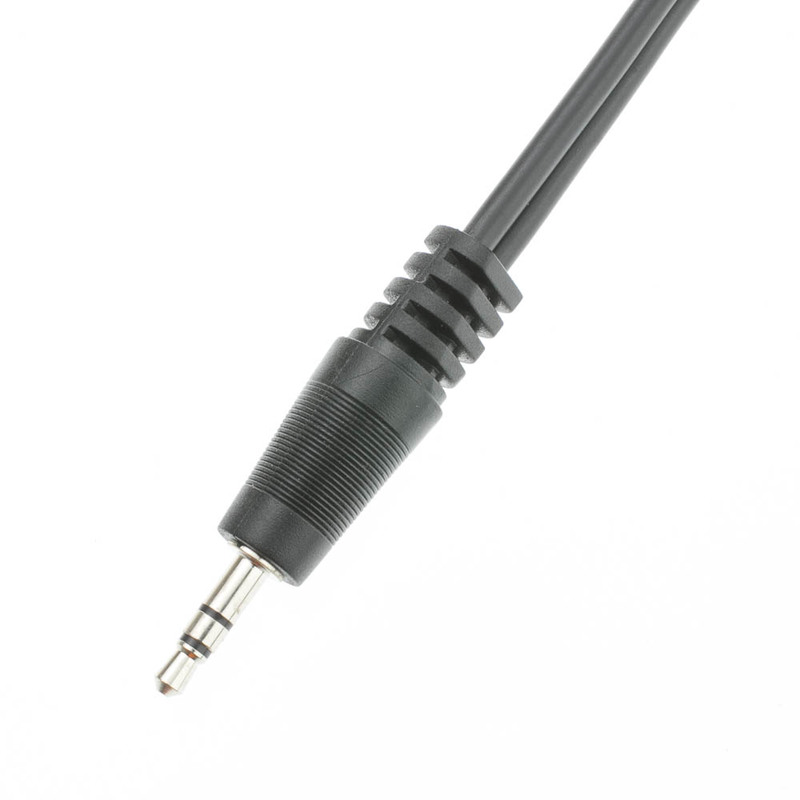 The cable was very affordable, was shipped quickly, and works great.